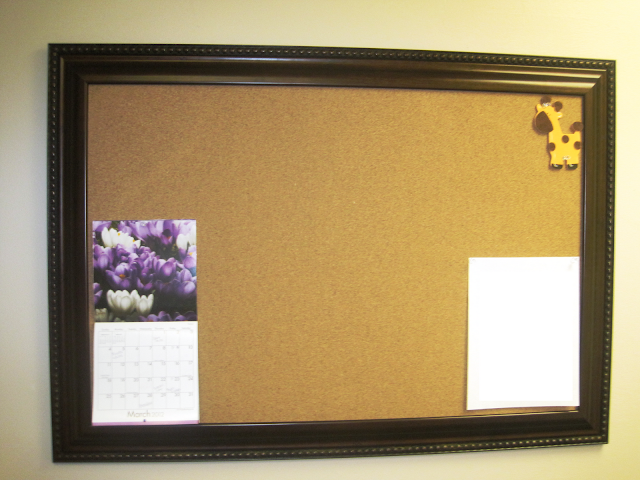 I’ve had these framed cork boards from TeaRoseHome pinned for quite some time. So when it came to decorating the new office, I thought something like this would be perfect. I planned on making it myself (finding some frames and inserting the cork board) but as I was perusing HomeGoods, I find a bunch ready made! I’m always all about making things as easy as possible so I purchased one. Anyway, here’s the one I bought hung on my office wall. Stay tuned to see what the complete office looks like in the next week or two.